This was maybe our most exciting red carpet design yet! 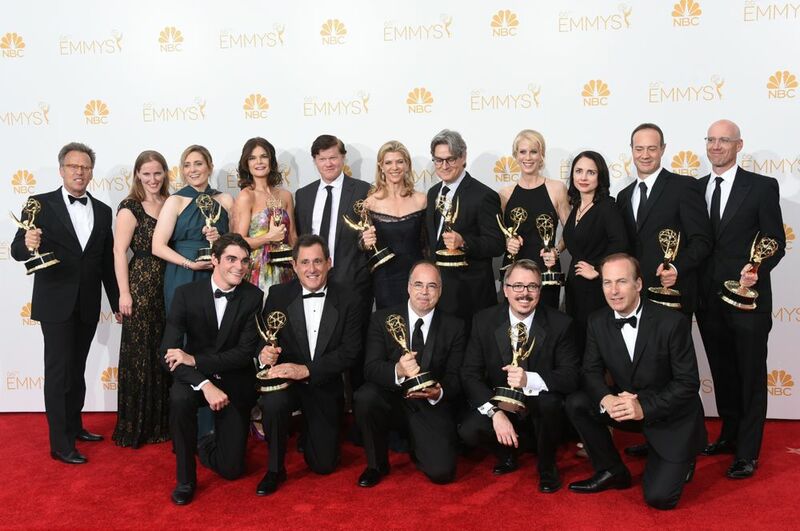 Breaking Bad and Game of Thrones Producer Michelle MacLaren came to us for her Emmy's gown and we were thrilled. An intricate navy off-the-shoulder lace dress, it fit her beautifully and was further accentuated by her Emmy win! We loved seeing Michelle (and our gown) on that stage to accept an Emmy for Outstanding Drama Series for Breaking Bad's brilliant final season. Congratulations Michelle!